The Version 2 of The Adoption Guidelines for Stormwater Biofiltration Systems was launched by the CRC for Water Sensitive Cities on 7 July 2015. 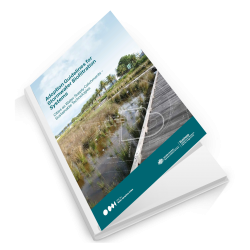 These Guidelines provide information on stormwater biofilter performance, the business case for its adoption, technical design guidance and key issues for constructing, monitoring and maintaining systems. The Guidelines are intended for use by all parties involved in urban biofilter planning, design and installation. This includes planners, engineers, landscape architects, developers and constructors. designing systems for longevity and low maintenance. The Guidelines include illustrations and summaries of biofilter functions, photographic examples of successful landscaping and design elements.